Heimatland is a quirky little German restaurant that is putting out some pretty good German food. It’s located in a German business center off the main drag just off the highway. 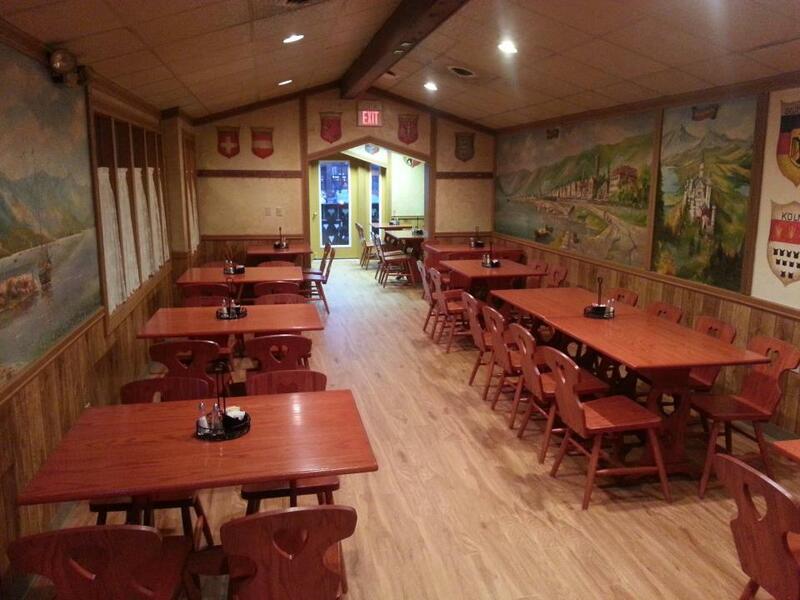 The dining room is dominated by murals of Germany and austere wooden tables and chairs. The food is affordable, filling and plentiful. 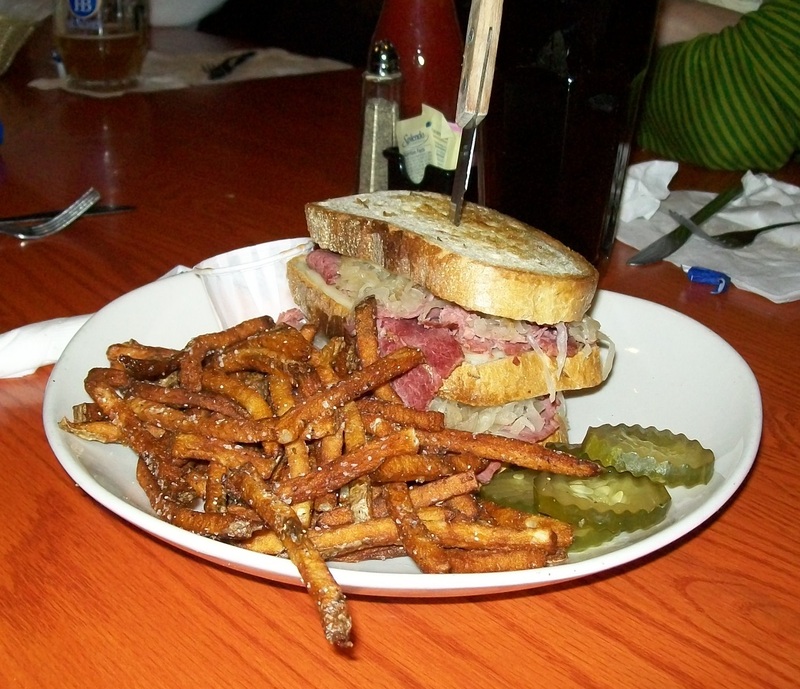 Their sandwiches are definitely unique – served on thick slices of Italian bread and accompanied by chips and pickles. 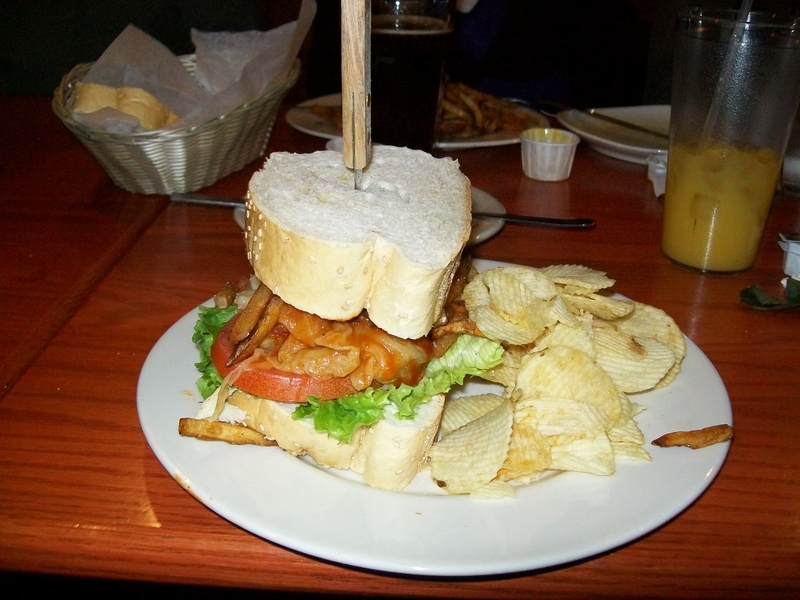 Their German Panini features German bratwurst, piled high with shredded cabbage in a house vinaigrette, topped with provolone, and fried potatoes. The Croatian Panini is one of the more unique “knife-and-fork” sandwiches – stuffed cabbage topped with shredded cabbage, tomato and fried potatoes. I ordered the Croatian Panini and loved the fluffy Italian bread it came on. 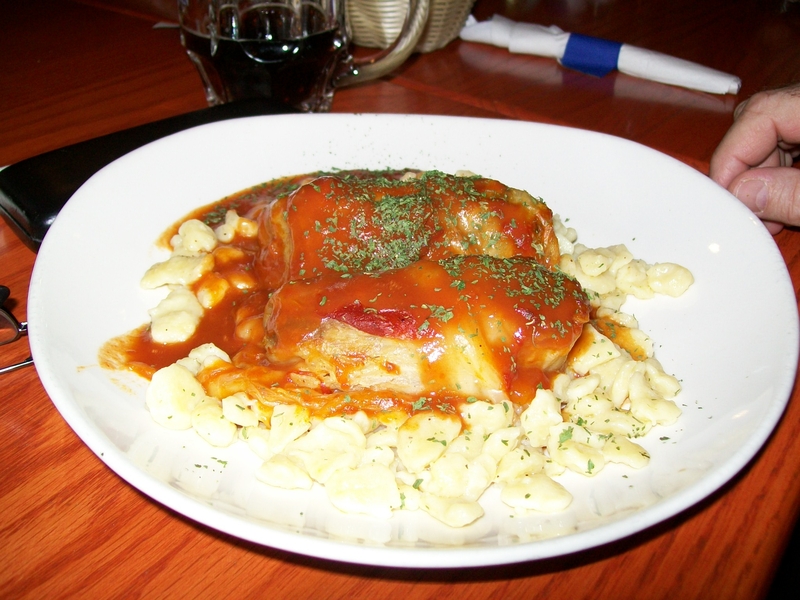 The stuffed cabbage was tender, moist and fell apart easily when I bit into it. 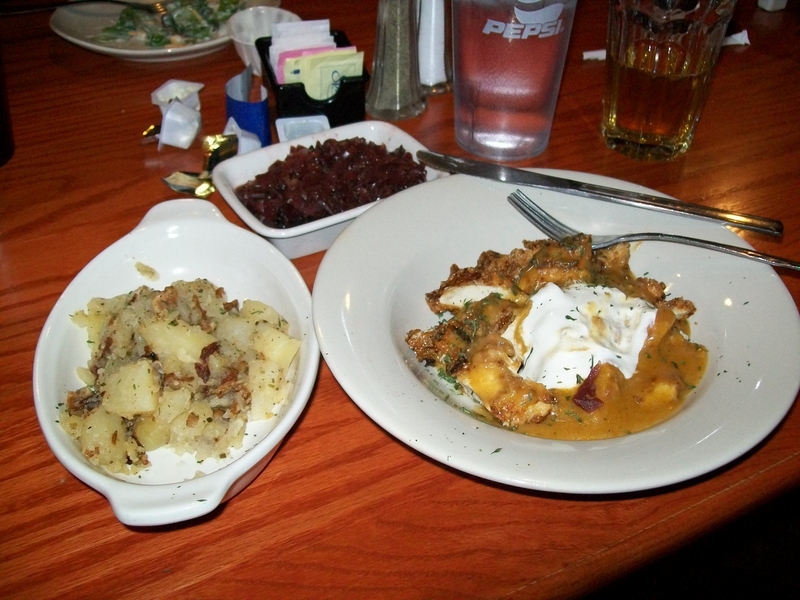 The fried potatoes were actually more like French fries, but they paired well with the stuffed cabbage. Some of their other sandwiches feature Polish kielbasa, beer battered tilapia, or grilled knockwurst as well as a Reuben, German style chicken salad, a club sandwich, and a BLT. The Koln Burger is a 6 oz. beef patty topped with S wiss cheese, sauerkraut or red cabbage, and a side of Thousand Island dressing. The Berlin Burger is a burger with Swiss cheese, grilled onions, and mushrooms. The Salz Burger features jack & cheddar cheese, bacon, and BBQ sauce. The name cracks me up, because I used to live in Salzburg and Salzburgers are citizens of Salzburg. 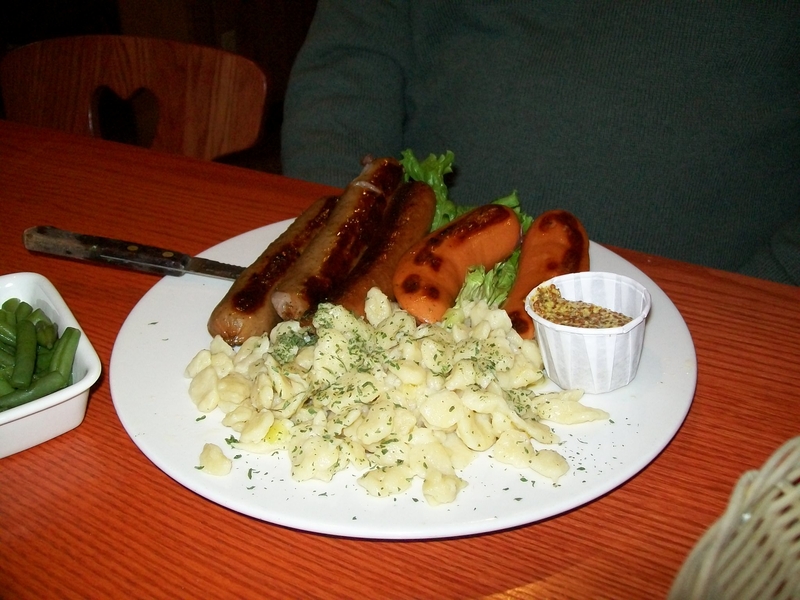 The Heimatland salad (photo above) is one of the most unique s alads I have ever seen on a menu. It features mixed field greens topped with chunks of chicken simmered in a secret sauce, seasoned fries and jack & cheddar cheese and served with creamy BBQ ranch dressing. It looks like a big hot mess, but the person I was with really enjoyed it. Who knew fries on a salad would be so appealing? The dinner entrees include standard Eastern European fare such as chicken paprikas, stuffed cabbage, Wiener Schnitzel (veal) or pork schnitzel, a German sausage platter, two different pierogi dinners (one with knockwurst and haluska), and beef goulash – among other things like honey fried chicken or liver and onions for those of you who like that. 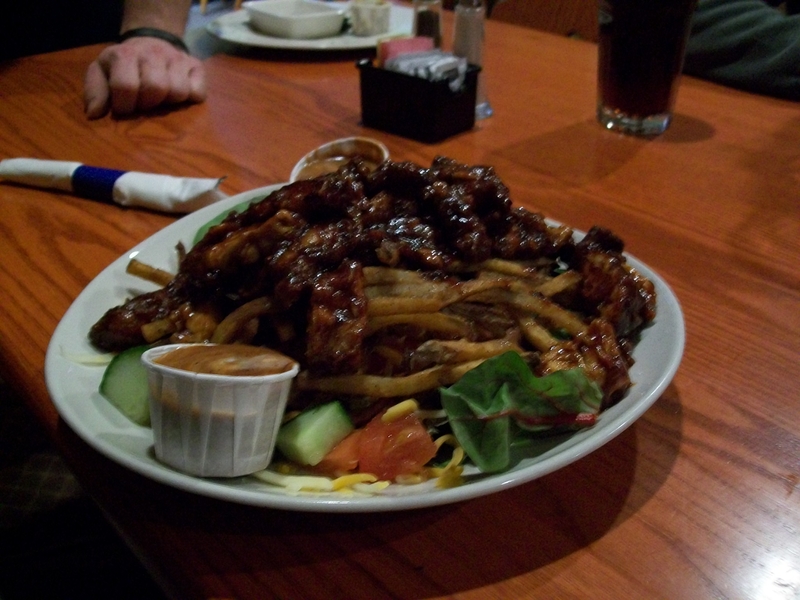 Dinners are served with your choice of two sides – including mashed potatoes, haluska (aka cabbage and noodles) cole slaw, sauerkraut, German potato salad, French fries, spaetzle, red cabbage, home fries, buttered noodles, applesauce, green beans or a side salad. I was here with a large group of Germans and German speakers. Everyone was very pleased with their meal. The service was friendly and attentive. We certainly had no complaints. They serve German beer on tap as well as Pepsi products, juice, and other normal beverage offerings. 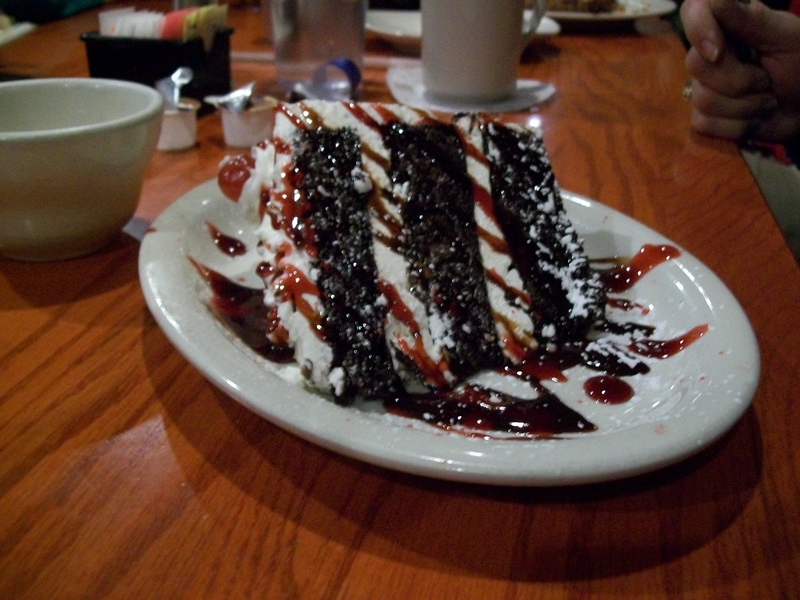 Desserts include a thick slice of Black Forest cake and apple strudel (3 flaky slices topped with powdered sugar and caramel drizzle).